Cybathlon enourages parathletes to compete with their superhuman prosthetics and exoskeletons. Trot out your exoskeleton for Cybathlon 2016. The summer 2016 Olympics may be in Brazil, but I’m getting much more excited for a competition taking place that year in Switzerland. Cybathlon 2016 is a championship for robot-assisted parathletes, and it sounds awesome. If some part of your body is assisted or moved by external power—for example, a robotic prosthetic or an exoskeleton—you can compete. Unlike in the Olympics and the Paralympics, robotic devices and other futuristic mechanisms are basically required at Cybathlon, even—especially!—if they lend superhuman powers. See? Awesome. Cybathlon was announced this week and will feature six competitions for athletes (who are known as “pilots”): a brain-computer interface race, a functional electrical stimulation bike race, a leg prosthetics race, a powered exoskeleton race, a powered wheelchair race, and a arm prosthetics race that tests dexterity for manual manipulation. It’s quite the lineup. At the games, pilots will be eligible for medals in their events, of course, but device manufacturers will also be awarded for their contributions to development and research, as exemplified by the way the pilots perform with the devices. 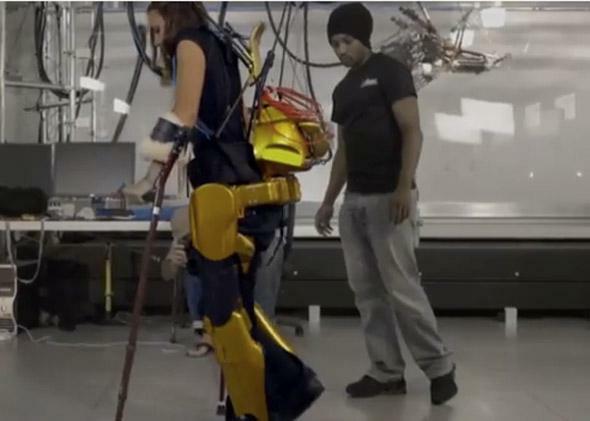 The powered arm prosthetics competition will test the pilot’s dexterity. In the functional electrical stimulation bike race, devices will electrically stimulate people with spinal cord injuries to pedal bikes. The most futuristic event will probably be the brain-computer interface race. In this competition, pilots who are totally paralyzed from the neck down will control a computer avatar that will either race on a horse or in a car against the other pilots. Honestly, if that isn’t the future, what is? The first Cybathlon will be in Zurich, Switzerland on Oct. 8, 2016. When you start to think about the potential for drama, human stories, and intense competition, the Cybathlon is totally compelling. It’s not that human athletes aren’t incredible—it’s just that these pilots are actually superhuman.